As a Minitab trainer, statistical consultant, Minitab software designer, Cheryl is immersed in the day-to-day problems faced by quality practitioners. 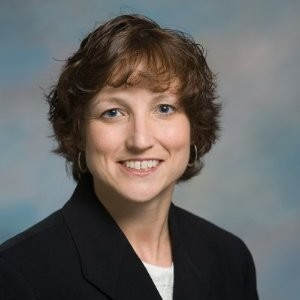 Drawing on more than 25 years of experience in teaching, statistical consulting, and software development, Cheryl aims to provide the sound statistical strategies and software tools that professionals need to solve the real-world problems they face on the job. She has worked on the project teams that developed many of Minitab's most popular features, including Assistant, Design of Experiments, Gage R&R, and Reliability. She was also one of the developers of Minitab’s online learning solution, Quality Trainer. She is now on the product management team for the newest product in the Minitab product line, Salford Predictive Modeler. In addition to Six Sigma Blackbelt training, Cheryl has a B.S.E. in Mathematics from Truman State University and an M.S. in Statistics from the Pennsylvania State University. More recently, she has supplemented her traditional statistics degree with graduate-level coursework in Predictive Analytics and Machine Learning at the University of California, Irvine and Stanford University.